R.T. MacKenzie was founded in 1985 by Robert MacKenzie, a Certified Irrigation Contractor (CIC) who graduated from University of Maryland with a horticultural degree. We have rapidly grown to become a successful commercial irrigation company with the hard work of several long term employees, the majority of whom have more than 20 years irrigation experience and service with our company. We feel that keeping up with current irrigation best practices is important which is why our staff attends regular irrigation training. We employ individuals with both Certified Irrigation Contractor (CIC) and Certified Landscape Irrigation Auditor (CLIA) certifications. We also hold the EPA Water Sense designation. About 10 years ago, we entered the landscape lighting market in part due to the needs and requests of our customers. The marriage of irrigation and lighting made sense to us as the results of a healthy, beautiful landscape could be displayed year round with landscape lighting. Furthermore, installing both at once offered our customers both products with the convenience of only one installation. Our professionally designed and installed irrigation systems make it easy and convenient to keep your landscaping looking its best every season. 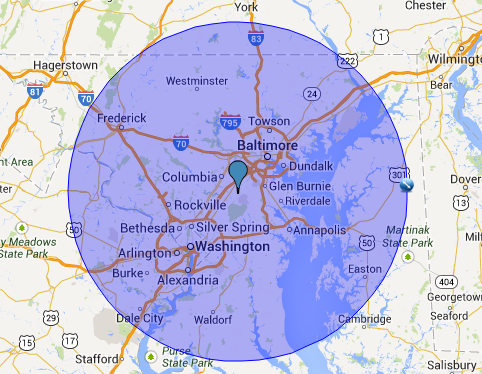 We service clients in Maryland, Virginia and the Greater Washington, D.C. Metro Area.